Ethel Braziel Carter, born in Boston, Massachusetts on May 16, 1918, was the first-born daughter of James H. Carter and Cleora A. Braziel. She was preceded in death by her sister, Cleora A. Francis who passed in 1994, and her brother, James H. Carter, Jr. who passed in 1989. 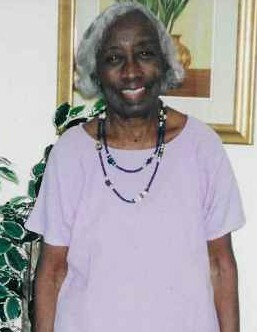 She is survived by her youngest sister, Fledra C. Hatch, of Durham, NC. Ethel leaves a host of nieces and nephews, grandnieces and nephews who all loved her, and appreciated her kind, supportive, and loving spirit. Also left to mourn and cherish her memory is her best friend, Beverley Esau, of Atlanta, GA.